19thc Slipware Pottery Bideford Jardiniere. English. C1860-80. 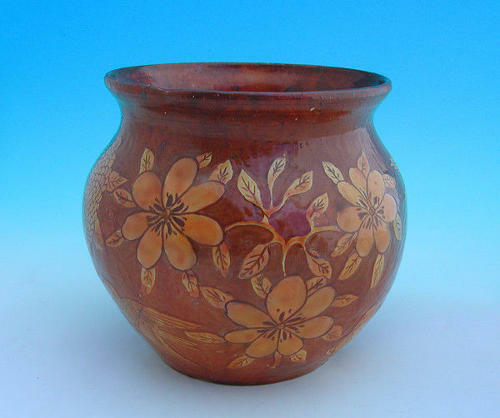 A wonderful example of this rare Bideford Pottery from Devon, decorated in slipware, showing flowers, butterflies and birds.....a real country harvest jardiniere, which would look superb on a piece of Period Oak. Bideford - Devon. C1860-80. Provenance: Top dealers private collection.